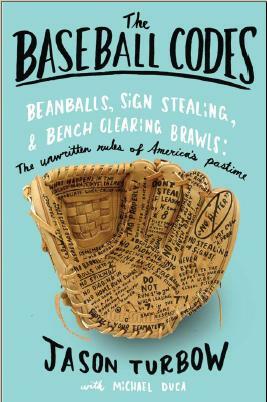 The Providence Journal issued a review of The Baseball Codes today, noteworthy less for its praise of the book (of which there was plenty) than the fact that it was written by somebody who is clearly not a baseball fan. She liked it anyway, writing that “this is a lively, fascinating book for anyone who loves baseball or would like to.” Which, for folks like us, who would be thrilled to sell our baseball book to an otherwise uninterested segment of the population, is remarkable. It was written by Anne Grant, a woman whose brief brush with baseball consisted of watching her son play in youth games while she wondered what all the hubbub was about. While our target demographic won’t be as surprised by many of our revelations as was Ms. Grant, even baseball lifers have given the book high praise. Reaching both ends of the spectrum wasn’t a stated goal at the outset of this project, but it’s certainly a nice result to have achieved.